In Argos, the Tetra SS (Supplementary Services) and LIP (Location Information Protocol) are decoded from Air Interface Layer 3 messages. 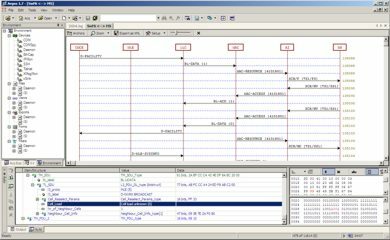 The Tetra ISI (Inter System Interface) and Singnalling and Voice are analyzed from QSIG/ROSE ISDN network protocol layers, directly from the E1 Interface. Argos offers various input/output interfaces for protocol data input and device control: binary or text log files, clipboard, serial COM ports, TCP/UDP/IP and Ethernet connections, Telnet and SSH sessions, or custom device, trough its IO device plugins, supported by an API. In Argos, the message sequence diagrams created from the analyzed protocol data aids the better understanding of the message flow between the system elements. The diagrams can be exported as Microsoft Visio drawings, and used for technical documentation. 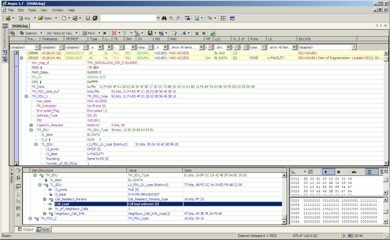 The MDI user interface of Argos allows visualization of multiple protocol analysis, message diagrams, XML protocol definitions, all at the same time. Command forms associated to protocols and views can be defined to command the IO devices. 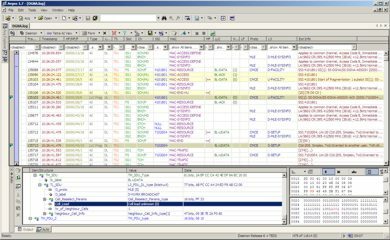 Auto-hide explorer and utility windows ensure efficient use of available screen size, keeping the easy and quick access to all commands, menus and window content. 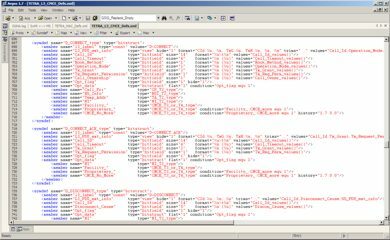 The Tetra and all the other supported protocols, the user interface layouts, import and export formats, etc., are defined by a powerful, yet simple proprietary XML protocol description language. The the language allows definitions of almost any telecommunication protocol, simple or complex, open or proprietary, embedded or totally independent of each other, in clear or encrypted XML. XPro is a privately owned limited software company, founded in 2008 in Espoo, Finland. Our key expertise are software solutions for telecommunication protocols analysis and software development. Today the company is specialized in various Tetra (Terrestrial Trunked Radio) related protocol analysis and support for Tetra equipment manufacturer and solutions companies. Our protocol analysis solution covers the complete life cycle of a telecommunication protocol: development, implementation, testing, network monitoring and troubleshooting. which currently supports a set of open standard, proprietary and Tetra protocols, and a set of other telecommunication protocols from the ISDN, PPP, and IP families. The company developed a powerful, yet simple XML Protocol Description Language, to define all aspects of the protocol analysis: from acquisition, trough decoding, presentation and post processing. 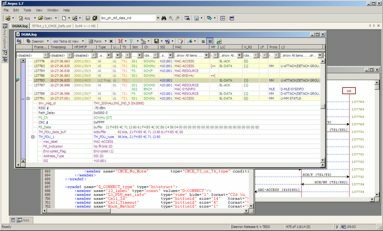 The user can modify, develop further and add new protocols anytime, using the XML protocol IDE, integrated in the analyzer. The analyzer can incorporate the customer's whole proprietary and open standard, current or future protocol portfolio. It can also be easily integrated in customer's proprietary development and testing environments thanks to its various and flexible interface support. Our customer profile is a telecommunication or embedded software development company, which is in need of such and integrated and modern protocol analysis solution, and which would like to provide to its professionals a unique and professional tool. We made the analyzer for you, so you don't have to. We are also partnering, with a mutual benefit scheme, with companies and professionals with knowledge and expertise of various telecommunication protocols, to extend our protocol analysis portfolio. For more information, browse our Products and Services pages. For contact and support, visit our Support page.